The Turtles return to save the city from a dangerous threat. The Turtles come into conflict with T.C.R.I. scientist Dr. Baxter Stockman, the Foot Clan and the return of their enemy, The Shredder, who has hired Stockman to create mutants of his own in the form of Bebop and Rocksteady. Meanwhile, an invasion above New York City is led by the Dimension X inhabitant known as Krang. The Turtles are joined in the fight by their human friends April O’Neil, Vern Fenwick and the vigilante Casey Jones. 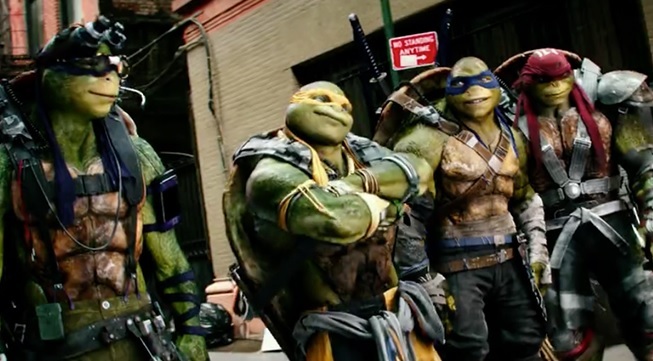 Watch the trailer for Teenage Mutant Ninja Turtles 2: Out of the Shadows! Coming to theatres and Real D 3D June 3, 2016. Starring: Megan Fox, Will Arnett, Alan Ritchson, Noel Fisher, Pete Ploszek, Jeremy Howard, Stephen Amell, Tyler Perry, Brian Tee, Laura Linney, Sheamus, and Gary Anthony Williams. Producers: Michael Bay, Brad Fuller, Andrew Form, Galen Walker and Scott Mednick. Writers: Josh Appelbaum & André Nemec.